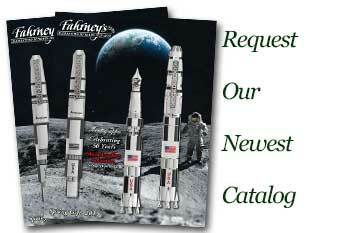 Order your Cross Scuderia Ferrari Townsend Black Honeycomb Fountain Pen today from FahrneysPens.com. Fine Pens, Refills & Luxurious Gifts – great prices & fast shipping. Cross engineering and craftsmanship come together to bring authentic Scuderia Ferrari racing design details to the iconic Townsend profile, creating the ultimate collectible for Ferrari enthusiasts. 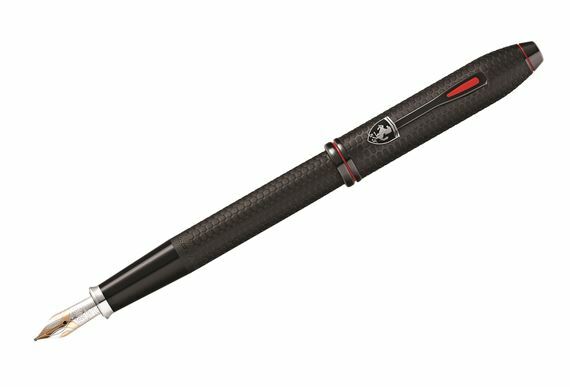 The newest Cross Townsend Collection for Scuderia Ferrari wraps the excitement of Scuderia Ferrari into a stunning writing instrument that fits like a glove and races across the page. The fittings are inspired by signature Scuderia Ferrari elements: the two-tone layered clip is custom-cut to recall the top-down view of the nose and cockpit of a Formula 1™ racecar. Cross engineering ensures its performance is as impressive as its style. The stunning Cross Townsend Collection for Scuderia Ferrari finishes will command attention in brushed black etched Honeycomb pattern with black PVD and red accents. The Cross Townsend Collection for Scuderia Ferrari includes a fountain pen featuring a two-tone rhodium plated solid 18K gold nib, twist-action ball pen, and the versatile Selectip capped rollerball. All are presented in a sleek Scuderia Ferrari luxury gift box. Cartridge/converter fill.